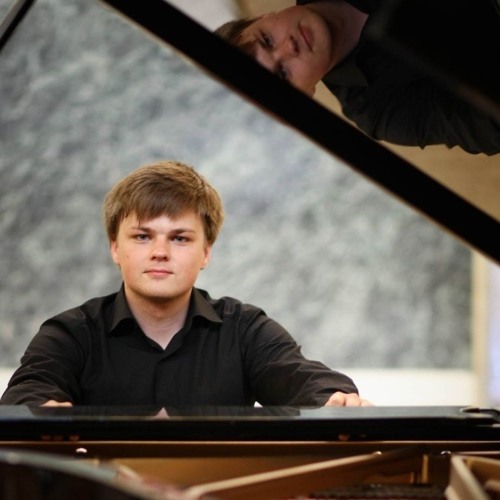 An award winner of the prestigious International Piano Competition for Outstanding Amateurs in Paris, Mikhail Dubov is very active as a pianist. Along with pursuing his professional career in the IT industry, he frequently gives solo recitals and performs diverse chamber programs with both amateur and professional musicians. Mikhail Dubov has appeared at multiple international festivals, including the travelling "Les Amateurs Virtuoses!" piano festival (for which he played in Paris, Fontainebleau, Bayreuth, Cape Town and Saint Petersburg), Festival des Grands Amateurs de Piano in Louviers as well as the "Musica Integral" chamber music festival in Moscow. He has performed at such venues as the Great Hall of Moscow Conservatory, the State Academic Capella in Saint Petersburg and Théâtre du Châtelet in Paris. As a chamber musician, Mikhail Dubov frequently performs in a piano duo with Polina Rendak and also regularly appears with his father, Sergei Dubov, the principal viola of the Russian National Orchestra. He has collaborated with many other professional musicians as well, including pianist İdil Biret, violinists Fedor Beznosikov and Anna Trukhina, violists Ivan Agafonov and Ekaterina Tatarintseva, and cellist Arseny Beznosikov. His repertoire features many less known masterpieces by Russian composers such as Nikolai Medtner, Sergei Taneyev, and also Nikolai Golovanov, whose impressionistic piano music he performed many times in Russia (including the Golovanov Memorial Flat in Moscow) and also premiered in France. In 2019, he gave the Russian premiere of Mikhail Pletnev's Cello Sonata (with Arseny Beznosikov), and also played his Variations on a Theme by Rachmaninoff for the first time in France in 2015.